The international conference on Libya, which took place on November 12-13 in the Italian city of Palermo, provoked a noticeable resonance across the Middle East. In general, one can only welcome the initiative of Italy, which managed to bring together various Libyan factions that remain fragmented by internal strife ever since 2014, the mark after which the country would be led by two competing governments. It was especially concerning that those factions would refuse to take a seat at the negotiation table together with their compatriots. Therefore, the range of opinions expressed in the media on this topic has been extremely diverse, yet skeptics seem to prevails as indicated by regional headlines, such as: “Palermo Conference: a climate of reconciliation, but with no real steps”, “Palermo: no major breakthrough,” etc. According to the Libyan commentator Ali Abu-Zayd, the results of this conference turned out to be even worse that was initially expected, especially against the backdrop of the massive media hype that preceded this meeting. 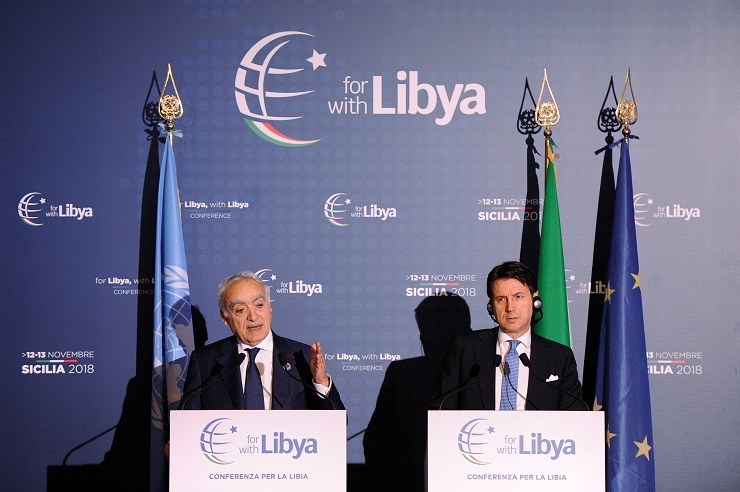 The final statement of the conference has basically reinstated the principles laid out by the UN mission to Libya at the international conference in Paris last May, notes the Libia Herald. Yet, Palermo have finally given up its hopes of holding parliamentary elections next months, which yet again was announced during the summit in the French capital, long before this recent one started. As for the elections themselves, they are to be conducted in the spring of 2019. Those who attended the conference have supported the UN plan for Libya together with positive efforts made by the head of the United Nations support mission in Libya. They have also reaffirmed their readiness to participate in the Libyan National Meeting (Multak) that is to take places in the first weeks of 2019, but will not be an alternative to any of the existing reconsilation frameworks. However, the main provisions of Multak’s agenda, its composition and the binding force that its future provisions should or shouldn’t posses over various political forces and parties remained unnannounced to the general public. It’s also noteworthy that an informal meeting between Field Marshal Hefter, the head of the power block of the Tobruk government, and the Prime Minister of the Government of National Accord (PNS), Fayez al-Sarraj took places on the sidelines of the forum. But this did not become a sensation, as such meetings were organized in different places outside Libya before. While discussing the immediate results of the conference, the Middle-East Online portal would note that it has unearthed deep-seated contradictions that exist between the leading Libyan parties, along with disputes that carry on taking place among the international players engaged in the Libyan reconciliation process. A number of authors agreed with this position, while stressing a clear conflict of interests between Western countries, especially between Italy and France. According to them, Rome’s economic interests are concentrated in Tripoli, the western part of Libya, which is under the control of the PNS. On top of this, Italy remain extremely concerned by the constant flow of migrants from Libya to Italy, which has already provoked a spike in drug trafficking and terrorist activities in Europe. France, above all, is interested in restoring order in southern Libya, where lawlessness reigns. This area remains a hotbed of radical Islamists that launch attacks against countries of the African Sahel, which has traditionally been a zone of French influence with Paris keeping at least 4,500 soldiers on the ground at all times. We are talking about the countries that share a border with Libya: Niger and Chad, as well as Mali and Burkino Faso. Therefore, Paris sides with Marshal Hefter, the head of the Tobruk faction, who is more capable of bringing security back to Libya and put an end to the jihadist onslaught. While some Libyan experts and observers expressed their regret over disagreements among the European powers, which results in their inability to save Libya from the state of anarchy it has found itself in, others are displeased with the fact that international players would “apply pressure” on Libyans, while pursuing their own interests. Libyan researcher Karada also has highlighted a bitter rivalry unravelling between Arab countries close to Libya and those located in the Gulf region. The current situation in Libya remains confusing. 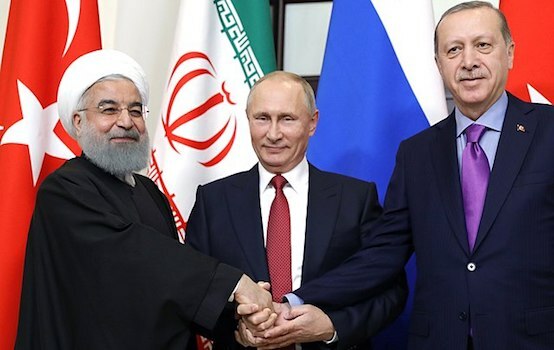 A way out of the more than seven-year crisis, which was a direct result of a massive external intervention is the future reconciliation of the two opposing factions. However, even after a prolonged period of negotiations brokered by the UN or other countries, success still seems elusive. Any mediation efforts are strangled by the fact that those powers that politicians can exercise during negotiations are limited by the desires of local armed groups supporting those politicians, so it will take much more than just good will to achieve a breakthrough. 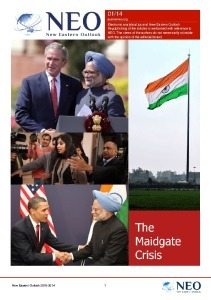 Yury Zinin, Leading Research Fellow at the Moscow State Institute of International Relations (MGIMO), exclusively for the online magazine “New Eastern Outlook.